» Made out of chemically processed Cotton Canvas. » Outer fly is made of 700gsm cotton canvas which is water proof & rot proof. » Centre height of 6FT along with Wall height of 2FT. » Includes all Accessories such as pins, pegs & hammer. » Colour : Military Green. 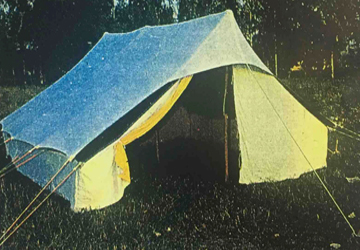 Cotton Canvas Tents are available in Colours like Military Green, White and Golden Colour. 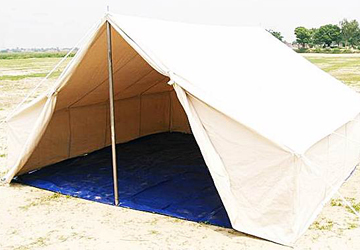 Sizes of Tents can made as per requirement.